That's what Richard Stallman, founder of the GNU operating system and Free Software Foundation, has been trying to work out. He views non-free games like those sold on Steam as "unethical" within in a GNU/Linux framework. "They deny freedom to their users," he wrote on the GNU website. "However," he countered, "if you're going to use these games, you're better off using them on GNU/Linux rather than on Microsoft Windows. At least you avoid the harm to your freedom that Windows would do." So, while there's both "harm and good" done by Steam being on GNU/Linux, overall Stallman believes the good outweighs the bad. "It might encourage GNU/Linux users to install these games, and it might encourage users of the games to replace Windows with GNU/Linux. My guess is that the direct good effect will be bigger than the direct harm," he wrote. "But there is also an indirect effect: what does the use of these games teach people in our community?" 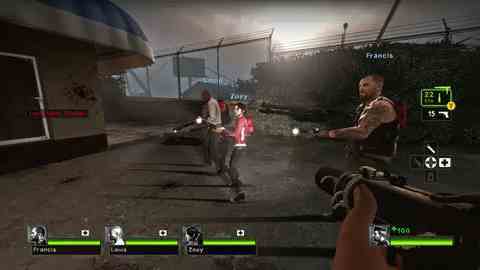 Valve announced earlier this month that Steam and Left 4 Dead 2 are heading to Linux. To begin with, Valve's 11-person Linux team is targeting the Ubuntu distribution. A week later, Valve co-founder Gabe Newell labelled Windows 8 "a catastrophe for everyone in the PC space". Blizzard nodded in agreement. Minecraft creator Markus Persson has also spoken out against the potentially locked environment of Windows 8, which would be "very, very bad for indie games" he told the Reddit community.